Posted June 9, 2014 by The Rapid & filed under Silver Line. What’s silver, green, hybrid, and the first of it’s kind in Michigan? You guessed correct — the Silver Line! 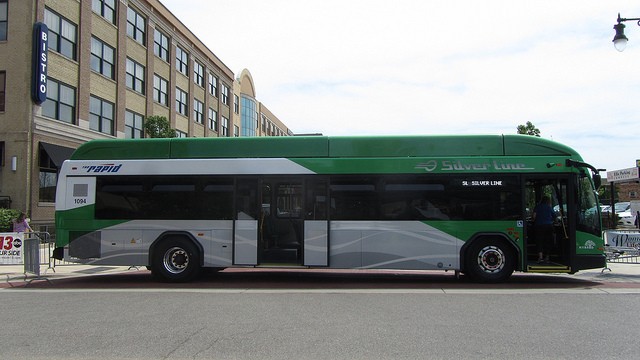 For those of you eagerly awaiting the August 25th launch of the Silver Line, you may already know that we recently received our fleet of Silver Line bus rapid transit (BRT) buses from the Gillig factory in California. 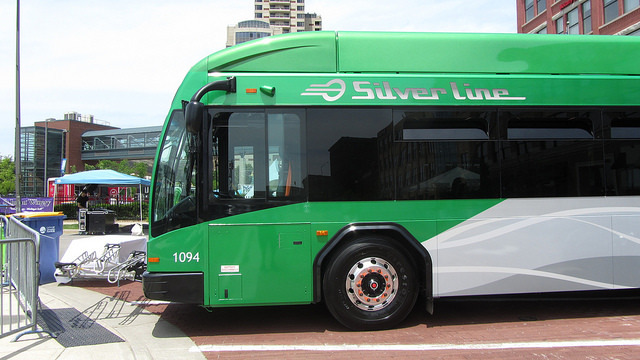 But the first public appearance of our Silver Line buses happened this past Saturday at the Local First Street Party. 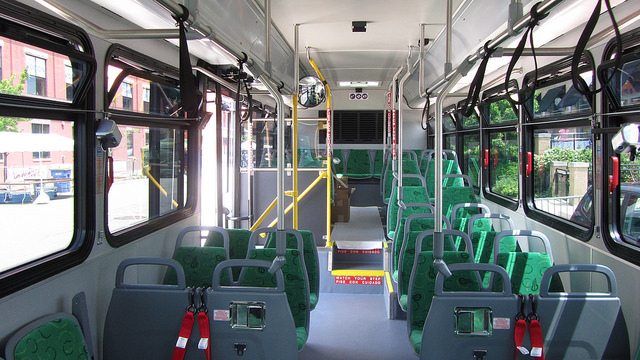 What do you think of the new Silver Line buses? Leave us your thoughts in the comments!